Modifying a motorcycle is a blend of art and engineering and there are several customisation studios doing the job pretty efficiently. 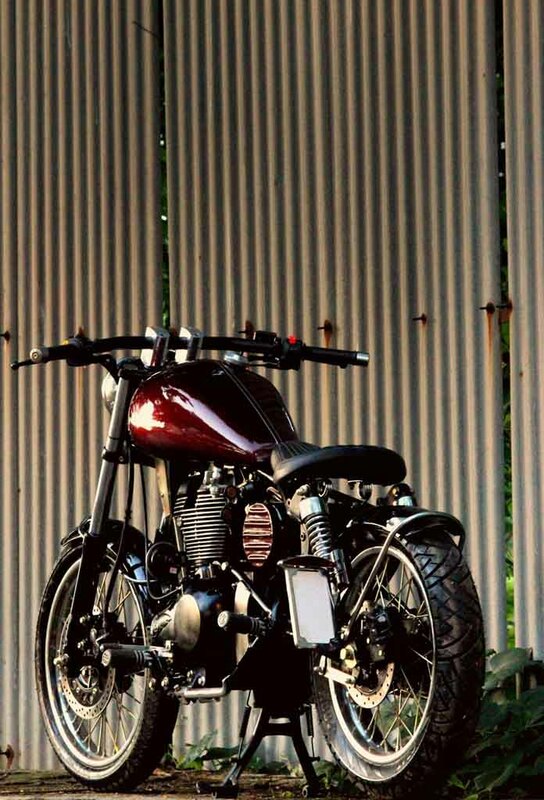 One of them is the Mumbai-based JEDI Customs and it has modified a Royal Enfield motorcycle into a retro bobber with minimalist appearance. 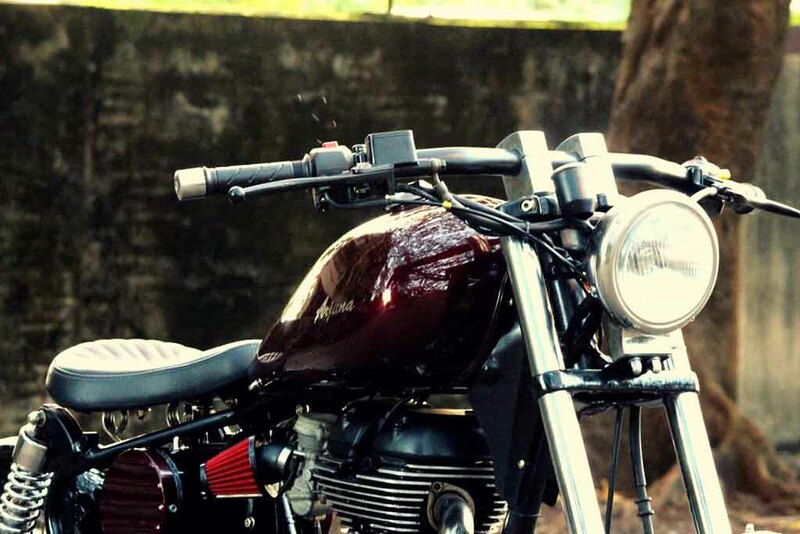 Christened as Arjuna, this motorcycle wears an old-school styling and grabs attention easily. 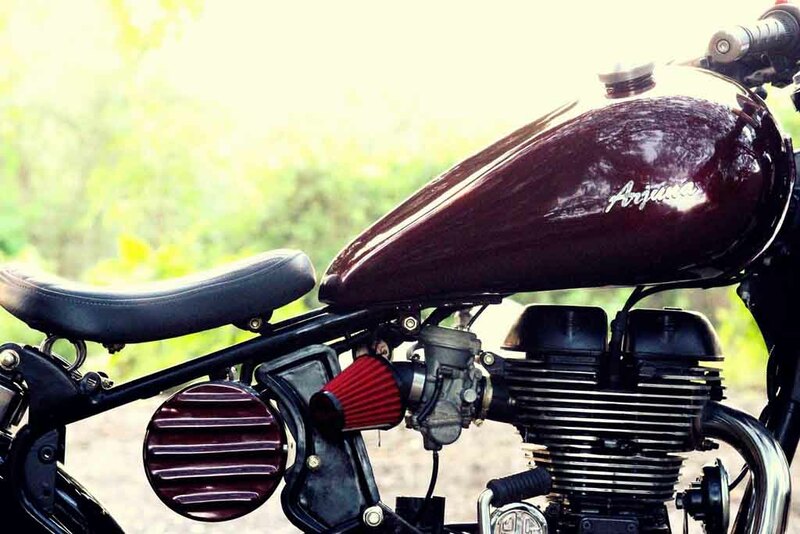 The modified Royal Enfield machine sports several customised body parts. 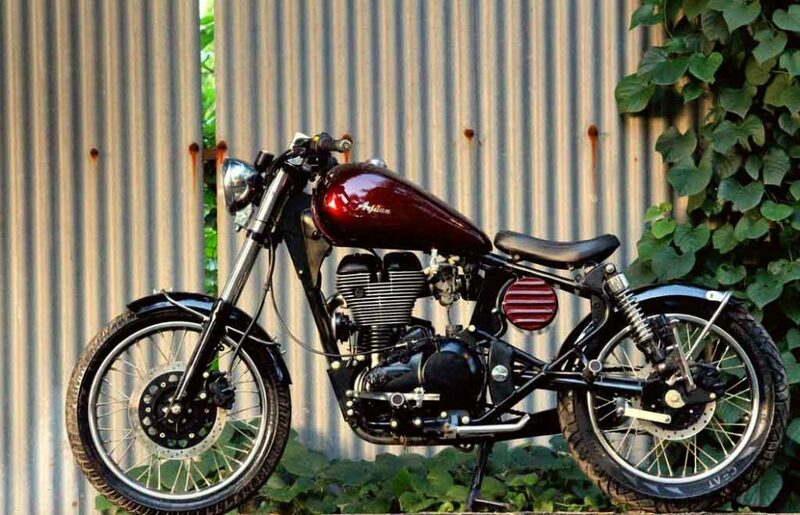 Based on a Royal Enfield Continental GT, the custom model looks completely different. It gets a round shaped retro looking headlamp with chrome bezel, a single pod instrument cluster. The wide handlebar has been modified to offer the rider a greater control over this machine. The motorcycle features a large custom fuel tank with brass cap on top. A sleek crease runs through the centre of the fuel tank. It comes with a single seat configuration and the wide, low positioned seat offers comfortable riding experience and it helps with greater control as well. 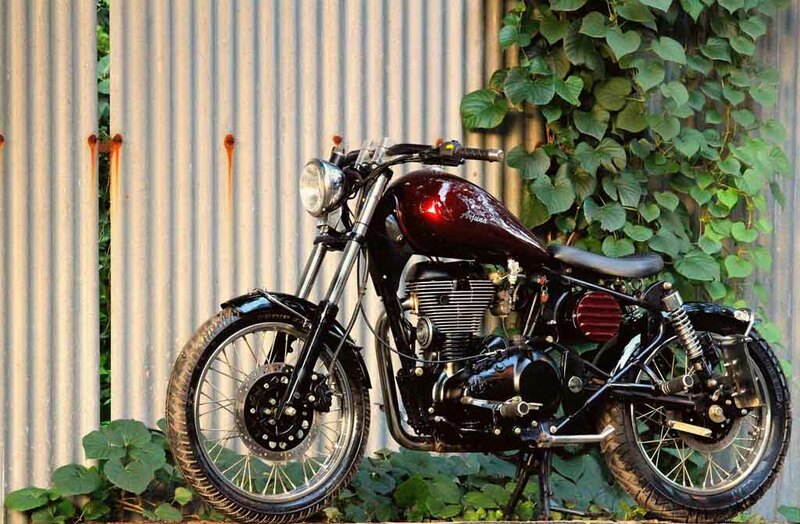 There is no taillight in this motorcycle and the fuel tank has been painted in Cherry Red. Both the front and rear fenders have been modified and they wear black paint scheme. The exhaust of this motorcycle gets black paint and a chrome finished tip. The modifier has redesigned the frame of this machine and thanks to that the customised model looks pretty long. 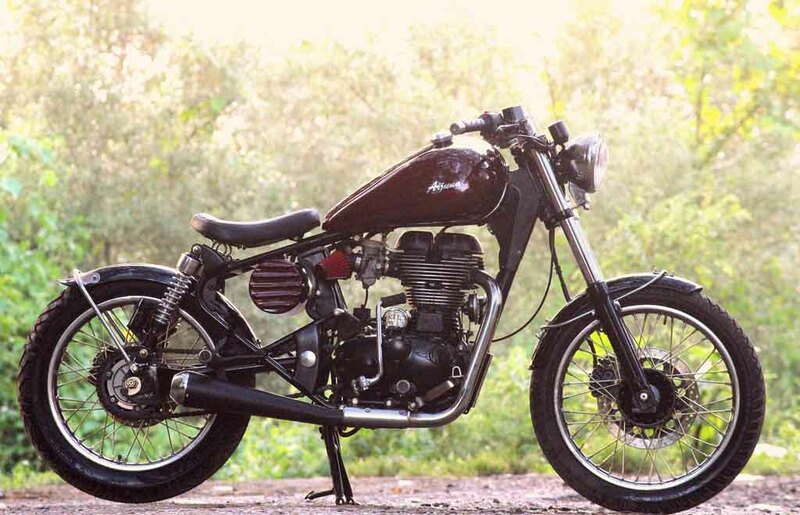 The naked appearance along with multi-spoke wheels is something that enhances this motorcycle’s retro appeal further. Fr braking duty, the motorcycle gets disc brakes on both front and rear wheel. It is not sure, if the motorcycle’s engine has been updated or not. The standard Royal Enfield Continental GT is powered by a 535 cc single-cylinder, air-cooled engine coupled with a 5-speed transmission. The engine is capable of churning out 29.10 bhp of peak power at 5,100 rpm and 44 Nm of peak torque at 4,000 rpm.